Congratulations to Phil Kirkman on becoming the 50th Music Education blogger! Dr. Kirkman has a great Music and Technology blog started and I think you will find the layout very sharp and the articles he is posting very informative. Do you want to become one of the ELITE music education bloggers that are writing some of the freshest, newest, and timely music-related content on the web? Many of the ME Bloggers are using their blogs to keep their students, parents, and communities informed of their “lasting happenings”. You don’t have to post everday, every week, or even couple of weeks… There’s really no hard and fast rules at all regarding posting… What we are looking for is educated music teachers, professors, industry speacilists, to get beyond the confines of their “four walls” of their buildings and start a global conversation about what we do and who we are. 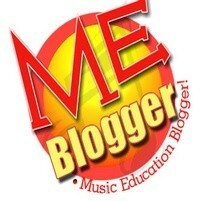 Find out about our campaign to have 100 Music Education Bloggers, Blogging by January of 2009!